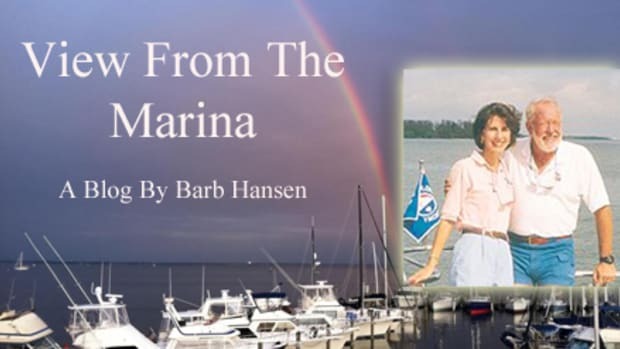 Over the years I have come to the conclusion that there are just some subjects that are best left alone and should never become the focus of my monthly message from the marina. However, I’ve had it with the increasing nastiness that has come to characterize the quest for a presidential nomination this time around. It does not reflect well at all on our country ,or our democratic process, regardless of your political leanings. While I have found that process troubling, I take solace in how the members of our boating community treat one another. So much so that I would like to share some thoughts about this subject as an important reminder to those of us who enjoy our time on board and the obligation we have to newcomers to boating. Etiquette, I believe, is our first line of defense against an uncivil society. To disregard a rule of boating etiquette is a sign that a person does not respect any rule of boating, etiquette or otherwise. If he or she doesn&apos;t like this rule, I asked, what other rules are they going to disregard? Boating etiquette and customs are not unlike the protocols of the military, the White House or the diplomatic corps. They are a good thing. Sometimes, as a matter of fact, they can be can downright funny, as in the names that some people give their boats. In the fun of picking a name many people forget, or maybe they don&apos;t know, that the name they give their boat will be useless if nobody can understand it on the marine radio. For example, a name like Chip&apos;s Ship reads fine on the transom but it invites misunderstanding on the airwaves. I favor simple names with crisp consonants, names like Magic. They are easily communicated over the VHF radio, especially in an emergency situation. The last thing you want is others asking you to spell your boat&apos;s name. As a traditionalist, I admit that I cringe every time I see or hear a name that, well, lacks even a hint of nautical class. But that’s another column. This is the kind of information that new boaters are not likely to know, and how would they know unless somebody tells them? The question of where to put the name should come up. If the vessel has an inboard motor, the name goes smack dab in the middle of the outside of the transom. If the boat is powered by an outboard, it should be placed on either side of the outboard. Documented vessels must conform to certain type sizes and types, as specified by Coast Guard requirements. Some do&apos;s and don&apos;ts: Don&apos;t use flowery script; it&apos;s too hard to read. Don&apos;t make it too big or it will be out of proportion to the size of your transom. One of the toughest protocols to keep alive is the protocol of boarding other boats. The traditional custom, derived from naval tradition, is to always ask permission to board a vessel. The issue seems to work itself out in social settings. People usually know to wait until they are invited in, whether it&apos;s a boat or a home. But some will think it is okay to board and knock on a cabin door. How are they to know? The vessel owner should anticipate their arrival and invite them aboard before they step onboard. Discuss these things with new boaters. I recently heard from a client who said that his sailboat was docked at a marina and the person on the boat next to his saw some people come aboard this fellow’s boat. They were walking all over the boat and sat down in the cockpit. They were not familiar to the neighbor and he asked if they were friends of the sailboat owner who was not on board. “Who?’ they asked. "No, we just wanted to see what one of these looked like!” At that point the neighbor told them that the yacht was private property and they’d better get off the boat right away. The trespassers said a few choice words and got off the boat. Then there is the subject of how to use the marine radio properly. If you were schooled in the proper way to use the VHF-FM marine radio you already know how "CB" talk almost overwhelmed accepted marine protocol in some boating areas. I die a little death when I hear a radio operator use phrases like "Good Buddy" and "What&apos;s your 20?" But we who are on the water hear him: Shouldn&apos;t we take the time to key the mike and give a polite radio lesson? I think so. By the way, the accepted calling language goes like this: "Magic, Magic, Magic this is Patience on channel 16." After Magic acknowledges you, ask the vessel&apos;s radio operator to switch to a working channel. The point I want to underscore is that we who are experienced have a responsibility to pass on these bits of etiquette, customs, and mandates. Doing so will perpetuate good times at sea and dockside. Who knows, maybe the lessons learned will be shared with some of those heavily involved in contemporary politics for application in their daily activities. While we all know the media thrives on bad news and controversy, they might find proper etiquette such a departure from the current norm; it could become the news of the day! One can only hope. 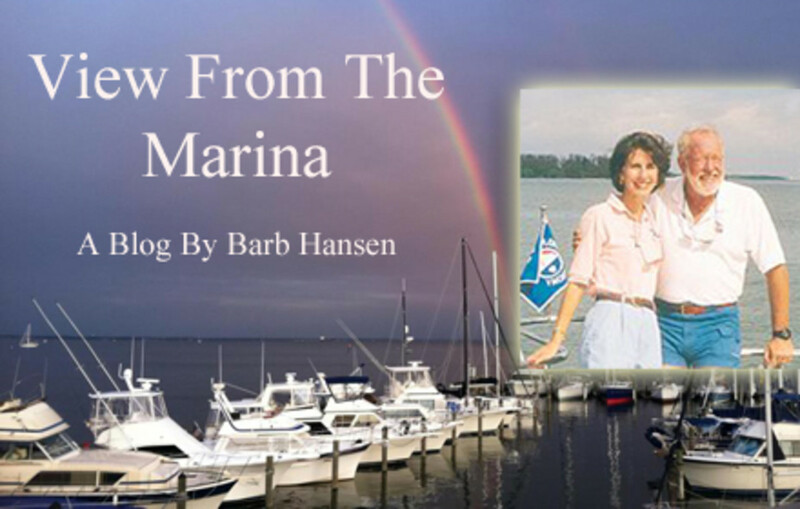 Barb Hansen manages Southwest Florida Yachts, yacht charters, and Florida Sailing & Cruising School, 6095 Silver Kind Blvd. Cape Coral, FL 33914. Email: info@swfyachts.com, phone: 800-262-7939 or visit: www.swfyachts.com or www.flsailingandcruiseschool.com.